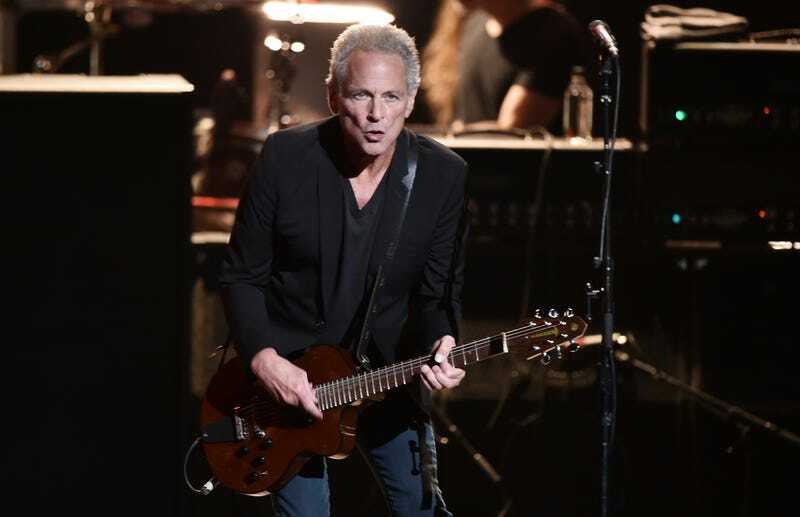 Guitarist Lindsey Buckingham filed a lawsuit on Tuesday in the Los Angeles superior court against his former Fleetwood Mac bandmates, claiming they cut him out of their North American tour, depriving him of money he might have earned. According to the lawsuit, a rift formed between Buckingham and his bandmates over his desire to play some solo shows, which conflicted with the 2019-19 tour the group had planned. The lawsuit alleges each member of Fleetwood Mac would have earned between $12 million and $14 million on the 50-city tour, The Guardian reports. According to Rolling Stone, Buckingham made this request to perform solo shows after Stevie Nicks asked that the band perform a maximum of three time a week. He says he wanted to comply with Nicks’ demand and book some of those empty days. In the lawsuit Buckingham also contends that despite remaining flexible, he was kicked off the tour without warning a few days after Fleetwood Mac performed at the 2018 MusiCares ceremony in January. The band announced at the time that he’d be replaced by Mike Campbell of Tom Petty & The Heartbreakers and Neil Finn of Crowded House. Buckingham joined Fleetwood Mac in 1974. Call your mates! Especially if they’re your bandmates!